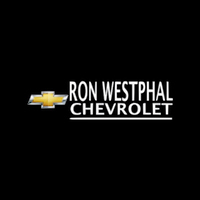 Ron Westphal Chevrolet from Aurora, IL, is the dealership you are looking for if you want a fun car purchase, without complications and on the most favorable terms. A large selection of Chevrolet cars, SUVs and trucks are waiting for their owners in our modernly arranged Chevrolet Showroom in Aurora. We offer different finance options such as auto loans and leasing, so your purchase will fit into your budget. If you want an efficient purchasing process, you can check the payment details for a car that you are interested in, from the comfort of your home, when it suits you the most. Through our free online Payment Calculator, in just a few simple steps you can find out your monthly payment for the amount of auto loan you have selected. Enter the price of Chevy you would like to buy, loan term, the amount of a down payment, and trade in value if you decide to use the value of a vehicle that you already own. After just a few seconds, you will get a monthly loan payment according to the given criteria. Payment calculator can be used as much as you want, changing the price, loan terms or other criteria and planning your purchase according to the available budget. If you have any difficulty using this payment calculator or you want to discuss further about your payment / finance options, please get in touch with us now!